Introduction paragraph, one of Australia’s oldest cake shops, in operation since 1955. There are now 5 cake stores across Sydney serving the best cakes around. Drop in for a coffee and experience some tasty and traditional greek desserts, you won’t be disappointed! Christopher’s Cake Shop. One of Australia’s oldest cake shops, in operation since 1955. There are now 5 cake stores across Sydney serving the best cakes around. Drop in for a coffee and experience some tasty and traditional greek desserts, you won’t be disappointed! Christopher’s Cake Shop, one of Australia’s oldest cake shops, in operation since 1955. There are now 5 cake stores across Sydney serving the best cakes around. Drop in for a coffee and experience some tasty and traditional greek desserts, you won’t be disappointed! Christopher’s Cake Shop, one of Australia’s oldest cake shops, in operation since 1955. There are now 5 cake stores across Sydney serving the best cakes around. Drop in for a coffee and experience some tasty and traditional greek desserts, you won’t be disappointed! Optional picture caption - come down to your local store and one of our friendly staff will help you pick a cake that is perfect fit for your occasion! Full width breather image with optional caption. Christopher’s Cake Shop, one of Australia’s oldest cake shops, in operation since 1955. There are now 5 cake stores across Sydney serving the best cakes around. Drop in for a coffee and experience some tasty and traditional greek desserts, you won’t be disappointed! Christopher’s Cake Shop, one of Australia’s oldest cake shops, in operation since 1955. 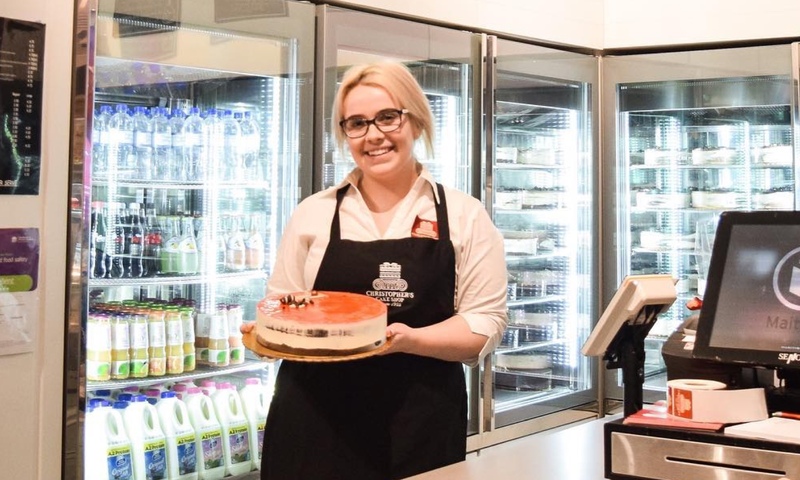 There are now 5 cake stores across Sydney. Christopher’s Cake Shop, one of Australia’s oldest cake shops, in operation since 1955. There are now 5 cake stores across Sydney serving the best cakes around. Drop in for a coffee and experience some tasty and traditional greek desserts, you won’t be disappointed! Christopher’s Cake Shop, one of Australia’s oldest cake shops.